I love it when I start seeing new growth on my plants. I am so ready for beautiful weather & gorgeous blooms. Did Some Bunny say Mug Mat? 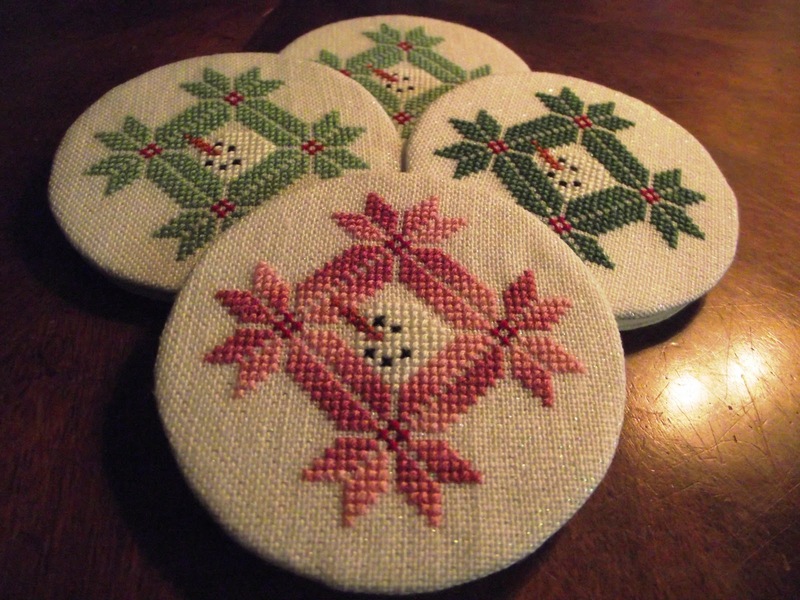 The Little Bunny pattern was a complimentary pattern from Brynwood Needleworks. 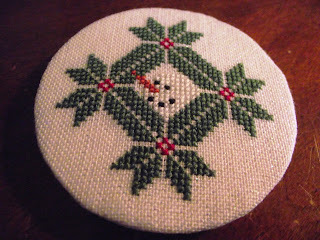 I think it is quite charming - Just click on her Free patterns & Tutorials link to get your copy. 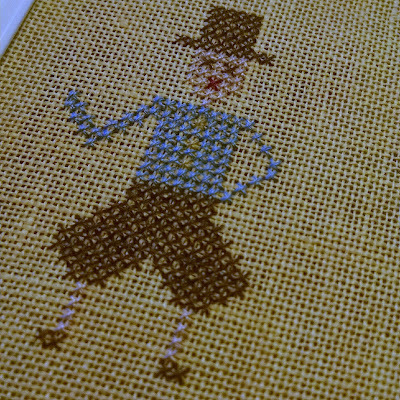 I put the finishing touches on my Traveling Stitcher this past week. I used the idea that Vonna posted on her blog - Now I just need to find a basket to put it on !! I am pleased with the result - Thank you for the inspiration Vonna - Your finishing is always so creative and well done. I participated in the Mug Mat Swap at Brynwood Needleworks. I have never made a Mug Mat before - I had some trouble with the binding - it was my first attempt so I guess that would be expected. In addition to my Mat I sent my partner a pin cushion & my little wallet from a previous post. Design: "Alphabet & Sweet Basket of Blooms Sampler"
I can't help myself - It's time for another Giveaway !!! Good Luck & blessings to all !!!!!! I recently purchased some of Nina's Threads, and Let me tell you - They are gorgeous !!!! I figured out how to make labels for my little wallets. Here is another wallet (same fabric) with a pink label - How neat is that !!!! 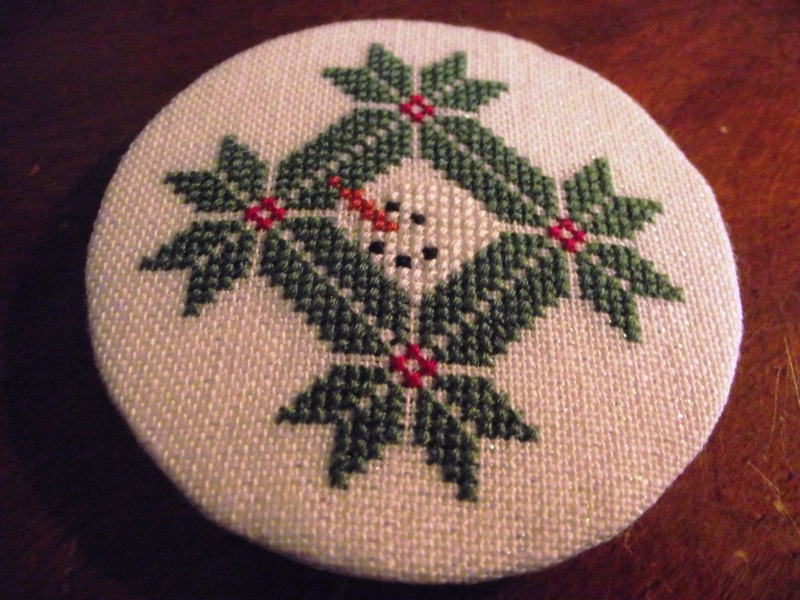 And stitched on 32 count linen the pattern just happens to fit perfectly inside a mason jar lid. Wouldn't this be cute filled with candy or cookies for Christmas gifts.